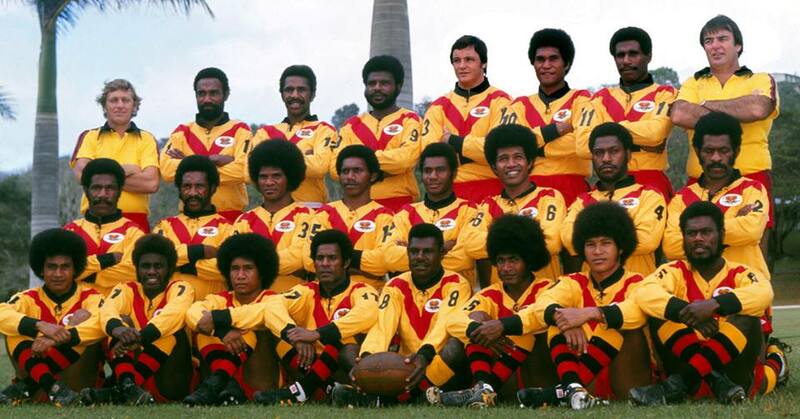 Former Papua New Guinea Kumuls living in Port Moresby and nearby Central Province will be paraded at the National Football Stadium before the Sunday kickoff between the PNG LNG Kumuls and USA Hawks. PNGRFL Chairman Sandis Tsaka says this is to honour past heroes for the foundations they set leading to the success and recognition the code enjoys today. The former Kumuls are being organized by Mark Mom following a meeting between the PNGRFL Chief Executive Officer, Reatau Rau in September this year. Mr Tsaka says this is the ideal time to pay tribute to these players of the past. Among those to be honoured is the very first Kumul captain and Kumul number one Paul Chue, who led the first-ever national meeting against Great Britain in Port Moresby in 1975. Chue will lead the parade of about 30 former Kumuls currently living in the nations capital and the Central Province. Meantime, Mr Tsaka is urging these men to come to the PNGRFL headquarters tomorrow for a briefing, and to collect their shirts and take a group photo.